I adore this product line. Let’s start there. This new line from Shea Moisture is everything I could have dreamed of all mixed in beautiful containers. Oh the moisture! What product line? Well if you can’t tell by the title of this post, the new line is called Jamaican Black Castor Oil by Shea Moisture. It’s purpose is to “Strengthen, Grow & Restore”. For a coily head girl with color treated hair this is everything and more. Now of course, I have to take into consideration that your texture may not predict whether or not your experience will be identical to mine. It has a lot more to do with porosity level. 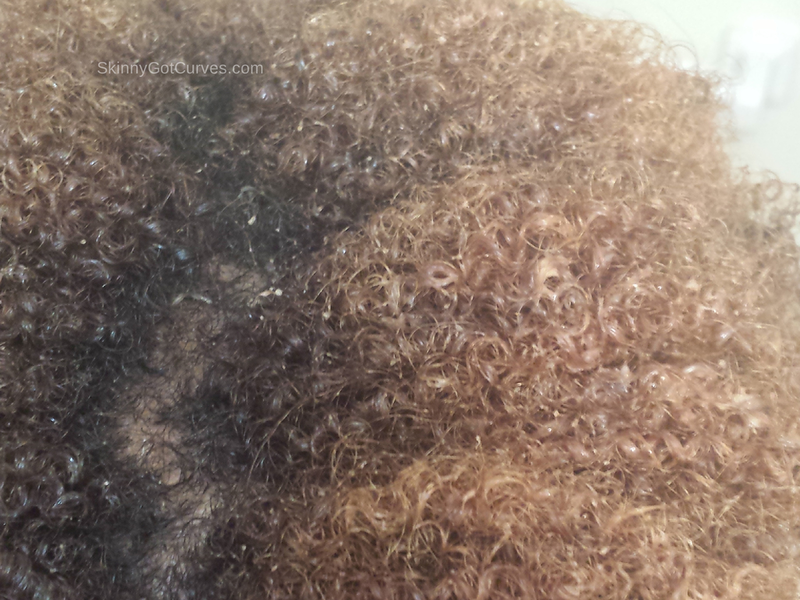 I feel like certain parts of my hair is low porosity and others are high porosity. This assumption is based on the symptoms of having low and high porosity levels. PLUS when I did the water test, strands of hair from the front of my head sunk to the bottom and others strands floated to the top. So there you have it. I was interested in this line because I wanted to begin giving my hair serious TLC now that it has been colored. To me, it makes sense to start repairing the hair now instead of being paranoid about hydration once winter hits. On Sunday, it was time for me to give my hair and scalp a thorough cleanse and condition so I used this line as my products of choice. 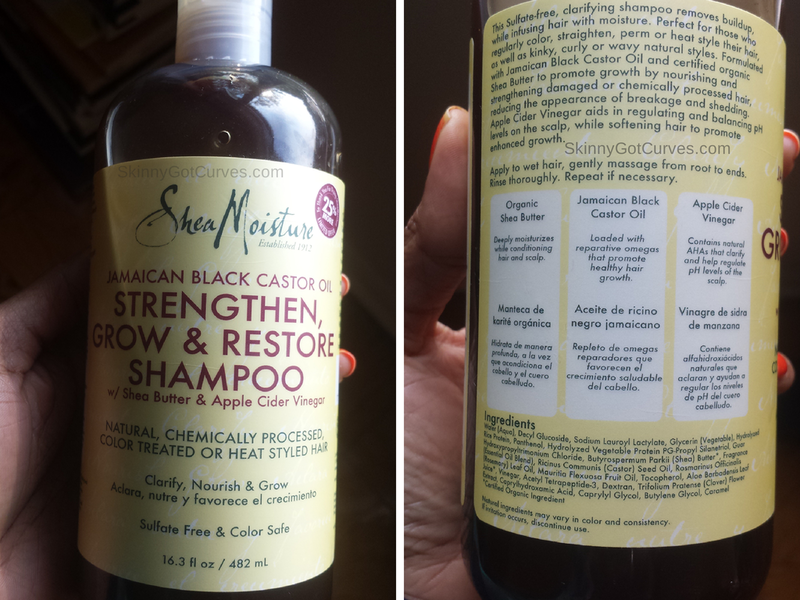 See below for pictures of my wash night experience with Shea Moisture’s Jamaican Black Castor Oil line. Here’s a shot of my hair before washing. It’s an old wash and go. 1. Pre Poo – Lately I’ve been using the DevaCurl’s One Condition for a pre poo just to easily detangle my hair with my fingers. It loosens my coils very well. 2. Shampoo – First up, the shampoo. The smell is very coconut/tropical like. The shampoo is very sudsy but you can tell that there’s oil in the product. I like that because I’ve always been a fan of oil rinsing. 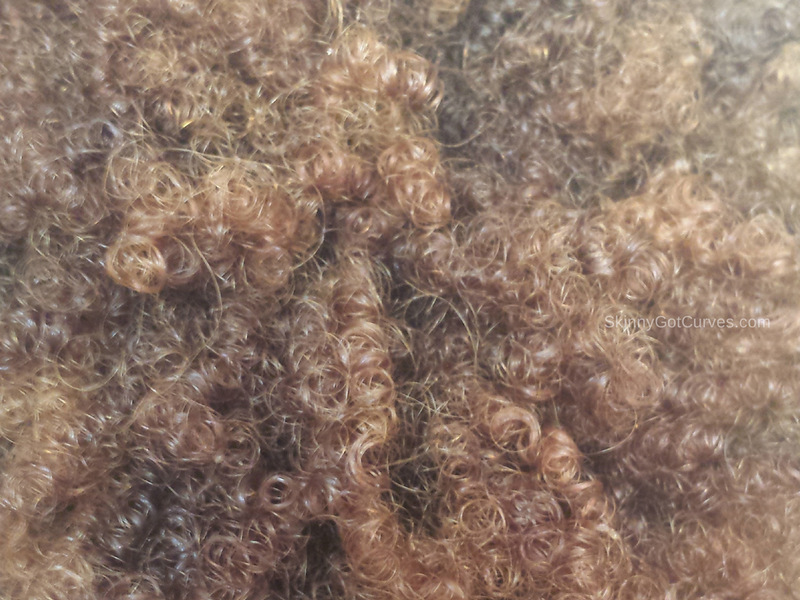 After washing my hair felt really soft and my coils were pretty defined. My hair had some shine too. Can you see the shine in the pics? 3. 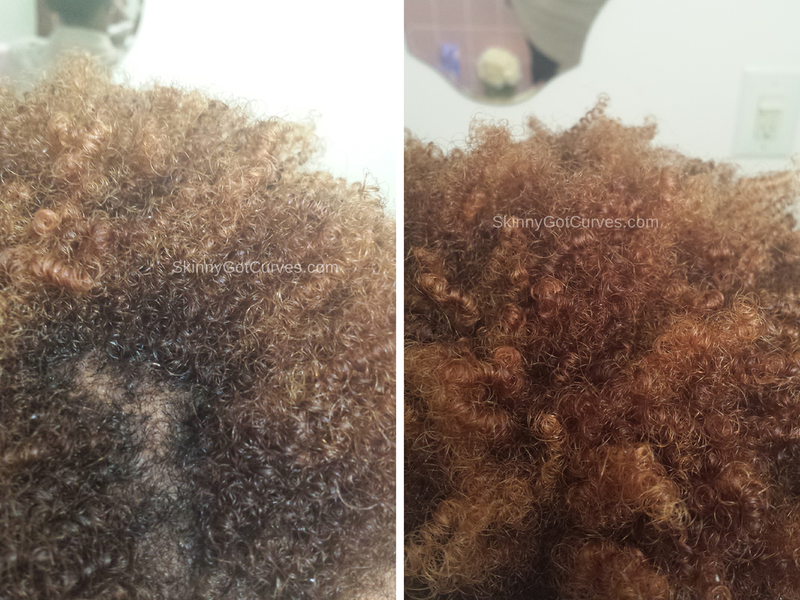 Deep Condition – Next, it was time for the treatment masque. I applied a liberal amount to my hair by sections. Placed a plastic cap on my hair for 20 minutes. I rinsed with warm water and then a final rinse with cool water. I just LOVE how my coil were soooo defined. That’s usually a sign to me when MY hair really likes a product. After a towel blotting, my hair just felt like cotton or clouds. SO SOFT! L Pic: Rinsed Hair. R Pic: Towel Blot. 4. Leave in – To keep it moisturized, I applied a liberal amount of the leave in conditioner to my hair. Initially, it looked like the product just sat on top of my hair. This concerned me. So I continued to rub the product into my hair and began styling into twists. The white residue disappeared. 5. 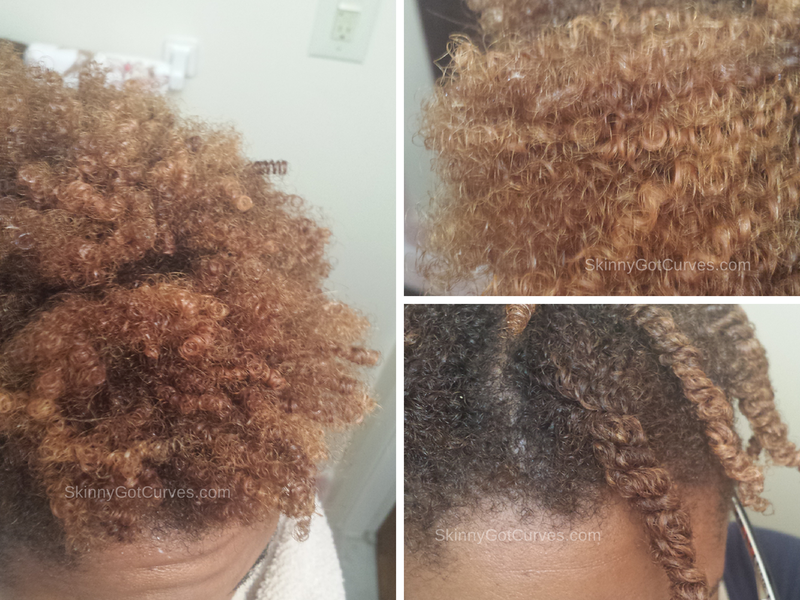 Next Day – Since my twists did not dry in time (5 hours later) I just rinsed and wore a “Rinse and Go” style. My hair still felt soft the next day. Overall I really love every product I purchased. It was well worth the money. You can tell in all the products that there’s oil infused in all of them. And that’s exactly what I expected. If you’re not into oils you may not like this line. It’s not a greasy feeling at all but I can just tell there’s oil in it. I’ve always used castor oil or any other kind of oils in my hair so I love it. I didn’t have a problem with frizziness or detangling after using the products. My hair felt so hydrated… for days. What I love about the leave in conditioner is that when you apply it to dry hair it immediately melts the dry cactus hair into soft clouds. Yes, indeed! The leave in conditioner is water based which is right up my alley. 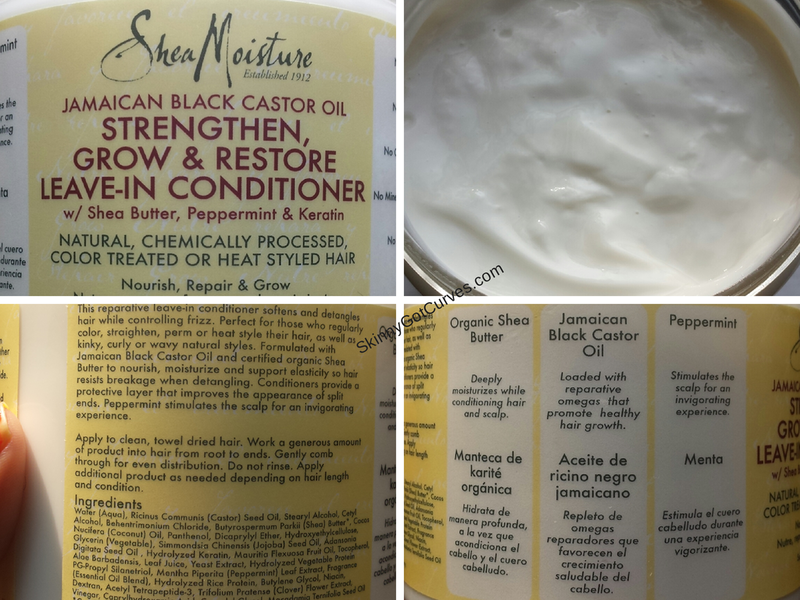 The Raw Shea Butter line has been my number one favorite for Shea Moisture, but this Jamaican Black Castor Oil line has now claimed the spot. I know this is my first time using the products but I have to say this is a million thumbs up for me. Yes I know it’s a bit premature to make such a declaration, but seriously I know when my hair likes something. To be fair about this review, I’ll be sure to give final thoughts at the end of the month. By that time I can share whether or not my feelings have changed. « Why I Want to Gain Weight? So I bought the styling lotion from this line, because it sounded interesting. Why did I put it on my hair, and my hair was hard-hard like I put hair pudding or gel in my hair. It also left an odd filmy feeling on my hair. For reference, I am relaxed, and my hair tends to be dry. Hi! Now I purchased the rest of the products including the styling lotion. I only used it once to blow dry my hair. I was curious as to how else to use but your description sounds about right. My hair was hard but it did seem like a layer of film was on it. Hmmm I'm going to see if I can try it in another way just to make sure my money don't go to waste. Thanks so much for sharing!